Vaporizer Buyer's Guide | OhGizmo! By Carole Smith on 10/17/16 • Leave a comment! Over the last couple of years, a lot of people have replaced smoking with vaporizing because of the perceived health benefits. While the jury is still out on whether or not vaporizing is actually healthier than smoking, there is no denying the fact that many people assume so. This is because vaporizing doesn’t involve burning (combustion) of the herb and produces less toxic compounds. Vaporizing ‘cooks’ the herbs without burning them. This way, the herbs release flavor, taste, and other components without being set ablaze and producing smoke. Each type has its pros and cons. Vaporizing wax pens are stealthy and small but can’t hold a lot of material so they are intended for personal use of concentrates and extracts. Portable vaporizers are slightly larger, with a battery that lasts longer but are still limited with the amount of herb they can hold. Desktop vaporizers are bulky and can be used for group vaporizing sessions, although you wouldn’t want to carry them around with you. I’ll be focusing on portable vaporizer recommendations and comparisons in this post because they are what you might call a golden mean – more and more people are opting for portable, hand-held vaporizers because they are practical. You can think of it like a laptop or cell phone, compared to home computers/ home phones. – Heating method – can be convection or conduction. Conduction means that your herb is in direct contact with the source of heat. Convection method heats the air below the herb allowing it to slowly cook. Convection heating is superior because there is no risk that the herb will start to burn or be unevenly cooked. – Temperature control – Some units come with one pre-set temperature level that isn’t appropriate for different varieties of herbs. Other, higher-end, units have several pre-set levels or allow users free control of temperature settings. – Power source – Power source is a big deal with portable vaporizing units. Some still run on butane but most use rechargeable batteries these days. These batteries can be internal or external (external batteries can be swapped throughout the day while internal ones have to be recharged- meaning you are tied to a power cord in the mean time). In this post I’ll take a look at 5 different portable vaporizer units, each with its own ups and downs. These are Crafty Vaporizer, Utillian 720 Vaporizer, PAX 2 Vaporizer, ZEUS Smite Plus Vaporizer, and the Arizer Air Vaporizer. Each of these devices will appeal to different types of connoissuers – from those looking to buy top-of-the-shelf devices and want to enjoy premium taste and vapor to those looking for that sweet spot between cost and quality. 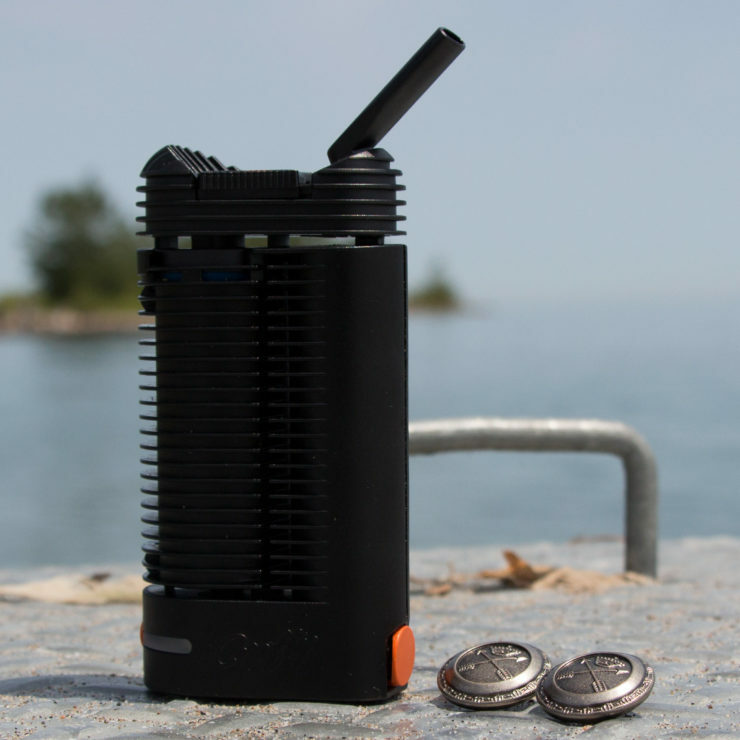 Possibly the most high-end vaporizer on this list comes to us from a well-known manufacturer, Storz and Bickel – a name that is quite recognizable in the vaporizer industry for its Volcano vaporizer. 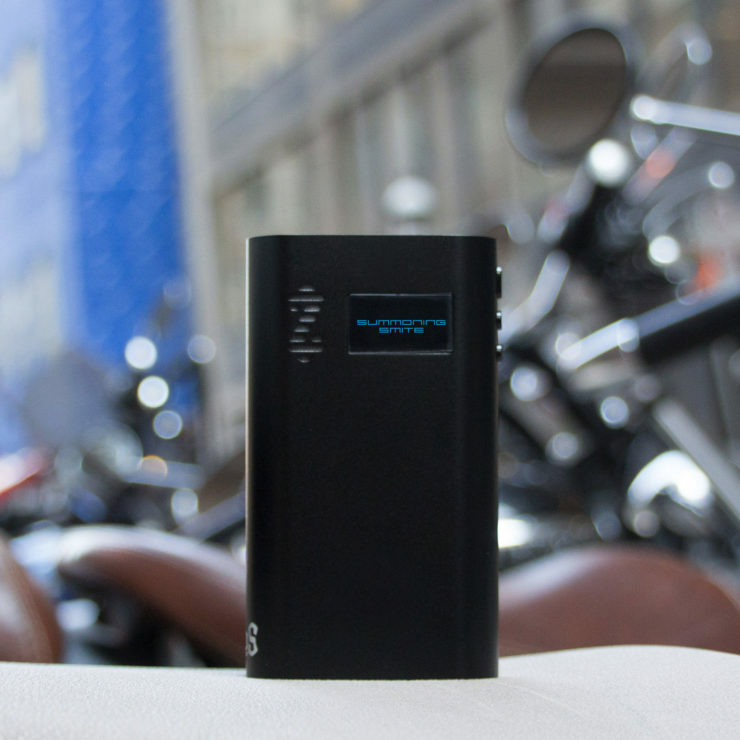 Crafty vaporizer is their first portable unit ever and one that was highly expected – that’s why it has been scrutinized from every direction. Crafty can’t afford to fail! It might seem that Crafty vaporizer doesn’t come with precise temperature control in the beginning – and it doesn’t really. The manufacturer was thinking out of the box so they’ve created an app for iOS and Android that can be used to change pre-set temperatures from anywhere between 40 Celsius to 210 Celsius. Once you install the app you will have numerous control options at your disposal. It’s true; Crafty is not the best looking vaporizers on the market. It looks funny and feels funny to the touch and there is simply too much plastic on it. Crafty is made completely from high-grade plastics (apart from the heating chamber) and it doesn’t look particularly high-end. However, because of the reputation of the manufacturer and test done on the unit it’s safe to assume that all the materials are vetted and up to a certain standard. What it lacks in looks Crafty vaporizer definitely makes up for in function. It’s simply outstanding, which is a bit bewildering since the entire unit is made of plastics. Still, it produces rich, quality vapor that is not tainted in any way. Since it has great airflow there is virtually little to no resistance when using Crafty and the vapor is nice and cool thanks to an inventive design that allows for heat dissipation. Crafty vaporizer is easy to use and is operated with a single button. Advanced controls are available via the app. It features an auto shut-off that turns the unit off after 60 seconds to preserve battery life. Crafty is a perfect example of function over form design and as such is a great buy for all vapers who want an excellent vape but aren’t overly concerned with the aesthetics. 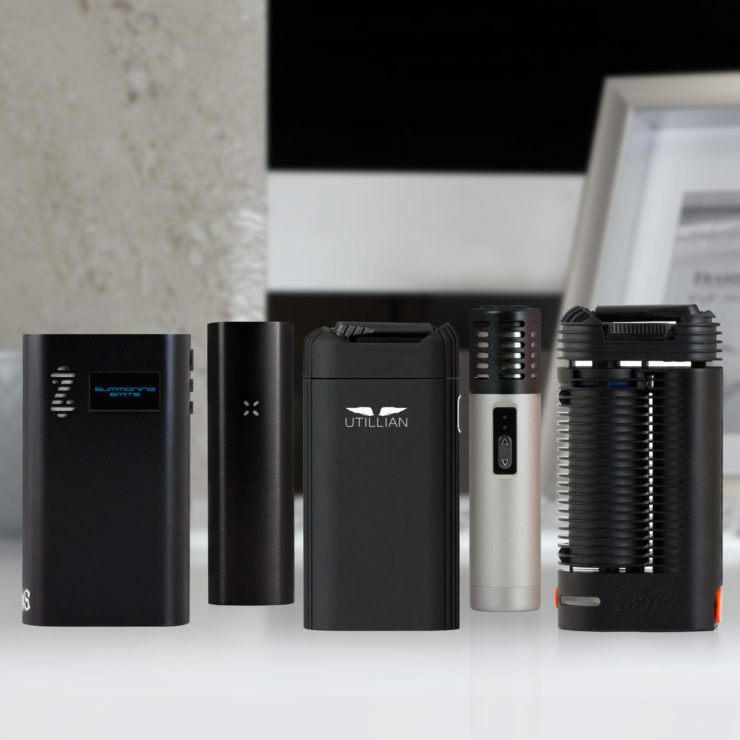 Utillian is a fresh name on the vaporizer market but they’ve already made their mark with their vaporizer Utillian 650. 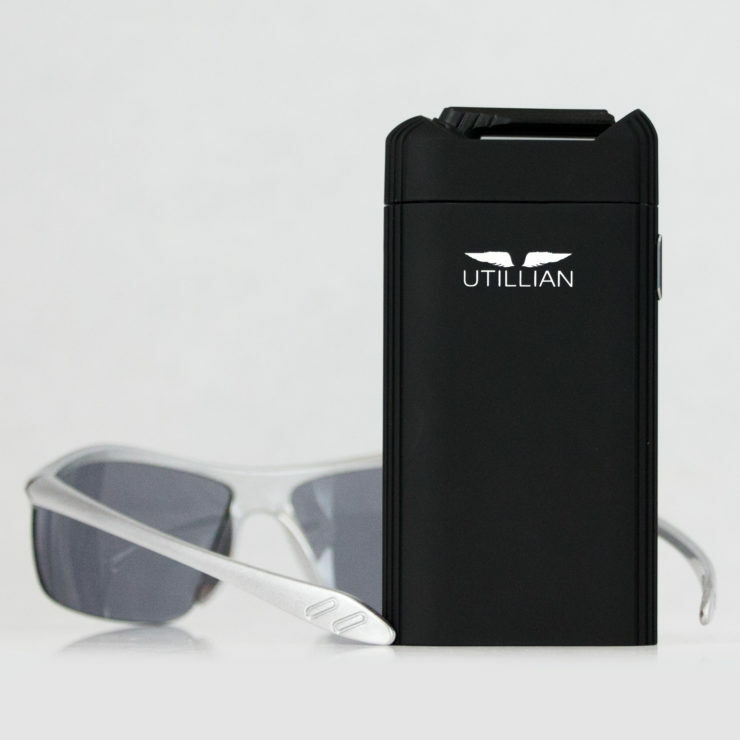 Their new unit, Utillian 720 boasts a couple of new tricks, including convection heating and exquisite vapor production. The Utillian 720 has some temperature flexibility and comes with 4 pre-set temperature settings, from 170 Celsius to 210 Celsius. Temperature settings are color coded (170 green, 180 blue, 190 purple, and 210 red) so it’s easy for you to know what you’re set temperature is. The Utillian 720 is designed with great care and top of the line materials. It still has some plastic components but not nearly as much as the Crafty Vaporizer. Utillian’s outer shell is made from anodized aluminum but it also has a rubbery finish so it’s easy to grip and hold. The mouthpiece is made from heat-resistant, high-quality plastics and the heating chamber is surgical-grade stainless steel. Thanks to convection heating, Utillian 720 produces clear rich vapor that is dense and a very smooth flavor consistently. Regardless of whether you like thin or thick vapor you will be able to enjoy this unit since it has 8 temperature settings. Some of you may expect the flavor to be influenced by the plastic mouthpiece but this isn’t the case – the vapor is completely clean and untainted. Utillian 720 has the best vapor quality in its price range, at least in my book. 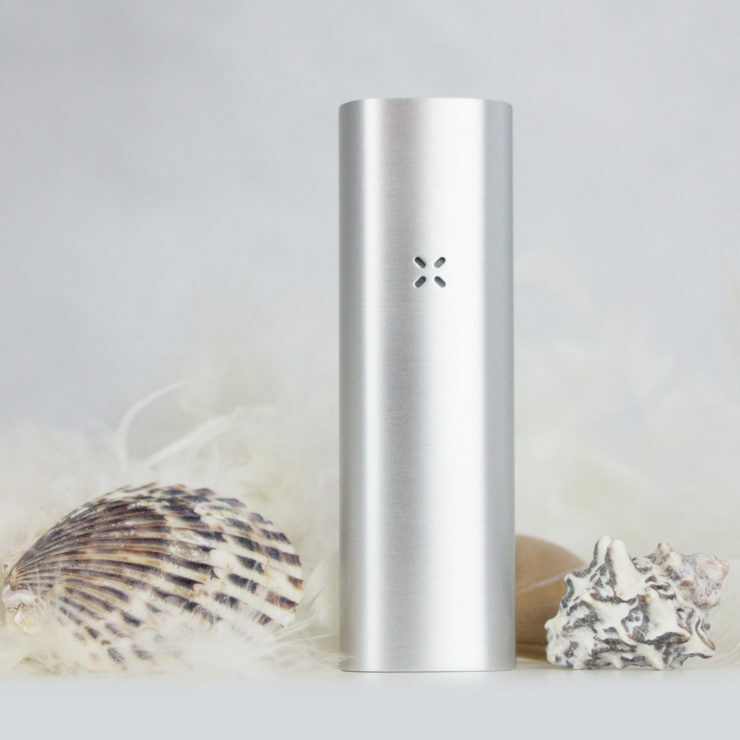 PAX 2 is a top of the line vaporizer and one of the most desired units currently on the market. It’s a great improvement on the original PAX because Ploom, the company that manufactures it, listened to the market and managed to iron out the kinks that users weren’t satisfied with. Vapesterdam did a Pax 2 Vaporizer review that I found thorough. The only minor complaint I have about PAX 2 is related to temperature flexibility. PAX 2 comes with 4 pre-set temperature settings (ranging between 360- 420° F, or 182- 215° C) that might not appeal to vapers who want complete control over their vape. Guys at Ploom really wanted to make PAX 2 a sight to behold. It’s a sleek unit that uses high-quality materials – food grade silicone for the mouthpiece and stainless steel for the heating chamber. Medical quality components are used for vapor pathways which ensure a nice, clean vape. The finish is made from brushed anodized aluminum so the unit is easy to grip and lightweight. The quality of the draws is somewhat inconsistent because PAX uses ‘smart vaporizer’ technology, which means that the temperature is determined by draw frequency and speed. First draws are always a delight but unfortunately the resistance changes influence it as the session progresses. Still, while vapor quality might be better, the amount of vapor will definitely positively surprise you. PAX 2 still has some issues but it’s a great portable unit that weighs around 92 grams. Depending on your style of vaping you can expect the battery to last anywhere from 50 to 90 minutes – the battery won’t get depleted quickly because the unit goes into stand-by mode if not used or moved for 20 seconds. It’s an innovative unit, albeit a bit expensive, so it’s perfect for vapers with slightly deeper pockets and a willingness to experiment. This new and improved model of ZEUS Smite is geared toward experienced vapers who are looking for a great vape but aren’t willing to break the bank to get it. It’s a great portable unit – small and compact as well as easy and intuitive to use. One of the major pros with ZEUS Smite Plus is its precise temperature control that ranges from 40°C to 222°C. This gives you the ability to really hone in there and adjust the ZEUS’ output to your vaping style. ZEUS Smite Plus is made of high-quality materials that all but guarantee that the unit will last for a good long while. The mouthpiece is made from food grade silicon and doesn’t taint the flavor of the vapor in any way. However, ZEUSArsenal also sells a glass mouthpiece that you can order if you want even cleaner vapor and components that are easier to clean. The oven is made of high-quality ceramics and is easy to clean and maintain. ZEUS Smite Plus gives off a nice, rich vapor that is full of flavor and taste. It can be adjusted in different ways thanks to the precise temperature controls so it’s suited for different vaping styles. It doesn’t really matter whether you prefer thick or thin draws – the Smite Plus can deliver! ZEUS Arsenal made significant improvements with ZEUS Smite Plus by listening to users and tweaking the performance of the unit. It offers great quality at a reasonable price and outshines it competitors that offer products in the same price range. It’s slightly heavier and larger than high-end units, weighing around 185 grams but it still easily fits into your pocket. The benefit of having a larger unit is battery life – ZEUS Smite Plus can be used for 2+ hours with a full battery so, in my opinion, the trade-off pays off. Air Vaporizer is a new product line by a well-reputed and distinguished manufacturer, Arizer. It’s a small, compact unit that will appeal to all vapers who are big on discretion. This doesn’t mean that Arizer Air doesn’t pack a punch – this unit has plenty of tricks up its sleeve and will surprise you with its versatility and power. Air uses hybrid conduction- convection heating and has 5 pre-set temperature settings so it can cater to all your vaping needs. The temperature settings can be adjusted in 5 or 10 degree increments and range from 180 Celsius to 210 Celsius. 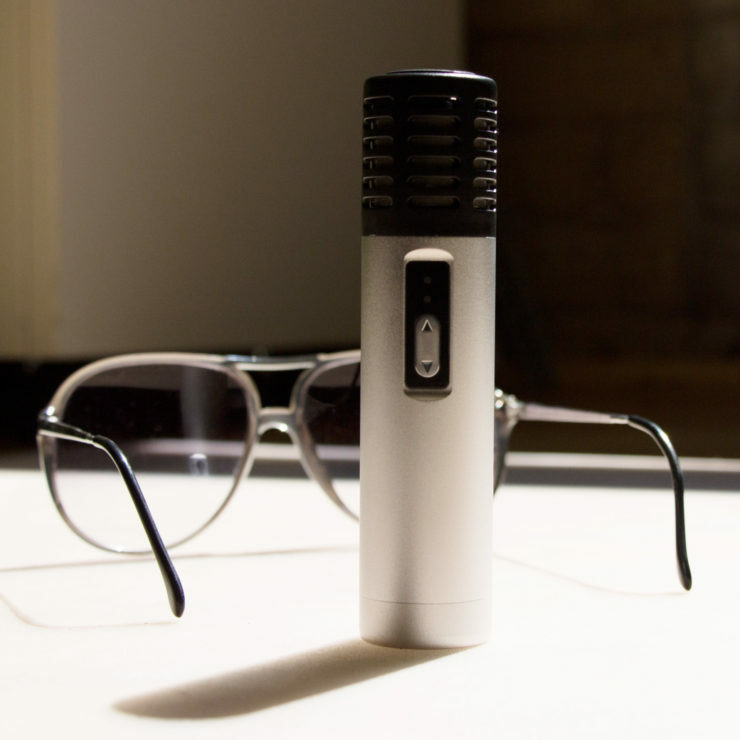 Arizer Air is made from top-notch materials – high-quality plastics and anodized aluminum exterior, glass diffusion stems, stainless steel botanical chamber, and a ceramic heating chamber. All this guarantees that you will enjoy a clean, rich, and untainted vape. A silicone shield is included with the kit and protects the unit while it’s in your pocket. The ability to adjust the temperature setting to your vaping style allows this unit to really shine. You can choose to enjoy a thin vape that is rich in flavor or you can crank it up with a click of a button to produce dense and thick vapor. Since the mouthpiece is made from high-quality plastics it doesn’t color the flavor and the vapor remains untainted. Arizer opted for simplicity in this unit and it’s operated with one button, making it easy to use and extremely intuitive. Hold the button for three seconds to turn it on or off and use the up and down arrows to adjust the temperature setting. The battery life is close to 1 hour but Air uses an external battery that is easy to replace when the old one runs out of steam. Arizers Air is a great addition to every vaper’s gear box – it’s small, compact, well-manufactured, and, best of all, cost-effective! Now that you know a bit more about vaporizing it’s time to ditch the old smoking routine and upgrade to a vaporizer at Vaporizera if you live in the US! Which one of these units is right up your alley? They all have their pros and cons but each one is well-worth its price tag and immeasurably better than smoking – cleaner, safer, and more cost-effective.